I want to buy Öhlins Daytona 675R(11-12) rear shock from a member on forum and fit it on ST (08). I have read that it is not an issue to fit it at all. And is a good upgrade? I wonder if I need to change the spring in order to match my weight? I am max ~ 11 stone / 70kg (without gear) , spring number on the shock I am buying is: 21040-26/85 L4510. The shock has been serviced apparently and I am paying 300GBP for the shock, which is ok I guess. I am quite new to this and sorry for my English btw..
Did you buy the same shock for your street? I will go to Ohlins service shop with this shock and get it fitted there I think and ask them to re-spring and re-valve as well i guess. Was it expensive to do that, and I guess it is totalt worth it? Depending on your riding, as in where you'll ride (road / city / track) and how fast or slow you'll be riding, chances are that the spring that's fitted will be good to go. Same goes for the current valving. (Just trying to save you some money). Are you keeping the same forks? Are they the original forks? When were they last serviced? What's your current SAG? After you fit the new shock, you'll need to check you SAG and see if the bike will be "balanced" (front to rear), and start with that before you go and throw a lot of cash onto the bike. Sure, if you'll go to the shop, they'll sell you everything and anything, but do you really need that? Again, it will depend on your intended use of the bike. I actually ordered "Matris Fork Cartridge F20 Kit" (https://www.racingonelab.com/prodotto.php?id=12795) so I will be upgrading front forks as well. I was looking at Ohlins 675R forks upgrade but it is too expensive, hope Matris will do the job. I don't go on track yet and if I do, I will probably ride Ducati 848. So only road/city riding with the ST for the moment, but still I want to customise it to my weight and riding as much as possible. 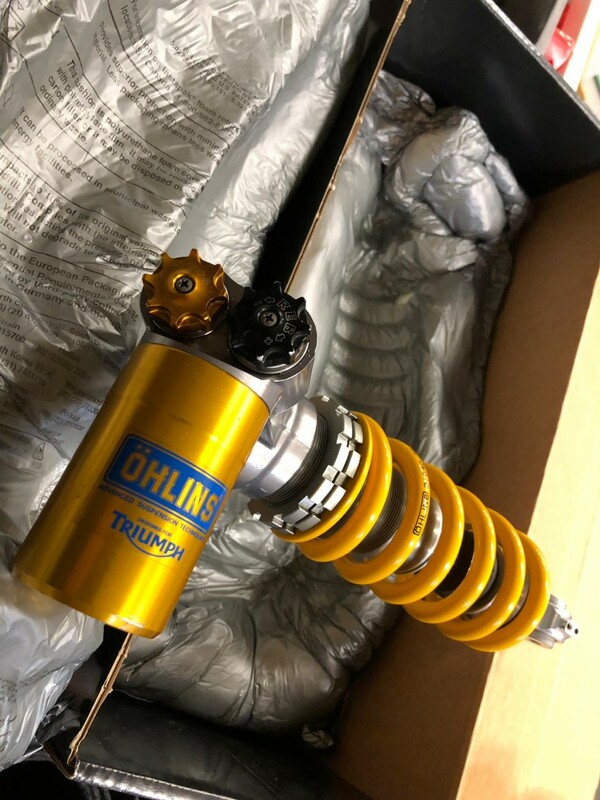 Which Ohlins productnumber is stamped on the shock (TRxxxx)?. It has an 85N/mm spring, which is to the soft side and the shock has lengthadjustment, which is good but not standard OEM. 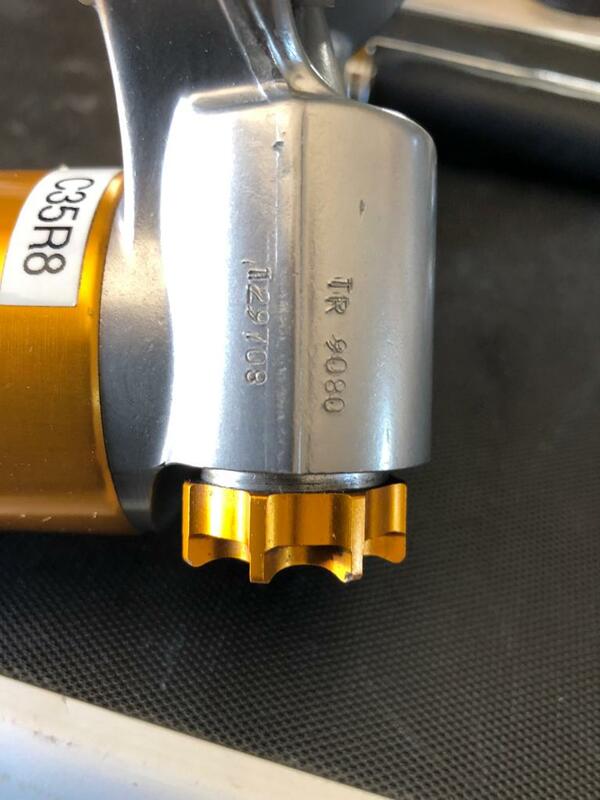 So it could also be revalved and I would suggest to have it serviced/checked by an official Öhlins servicecentre to find out exactly what you have. 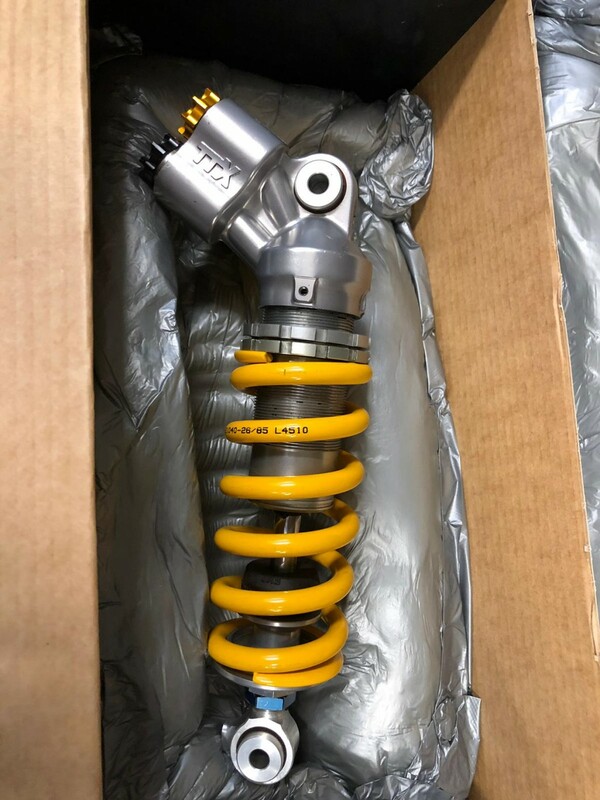 One difference between Daytona and ST is that the ST uses a shock that is a bit shorter, and if the Daytona shock has also been made longer with the lengthadjuster parts, it might be a bit too long for the ST. I have been using the stock Daytona 675R (TR908) shock and modified it, it is a direct fit, depending on your exhaust system - if you use a lowboy there are no problems and if you use an underseat type, you just need to check for clearance - the type you have posted pictures of is the right type for the ST 08. Together with the Matris F20K you have good components to work with. The spring might be right then , because I am "light", but I will need to double check with Ohlins shop in Norway I guess. Seller says that it has just been serviced (0miles after service), so I might not need to service it. But anyways I will take it to the shop and let them take a look. I use hp-corse exhaust (low-boy), I hope it is direct fit without any major modifications. If it just serviced, you should be able to find out which setting the shock has for compression and rebound damping. 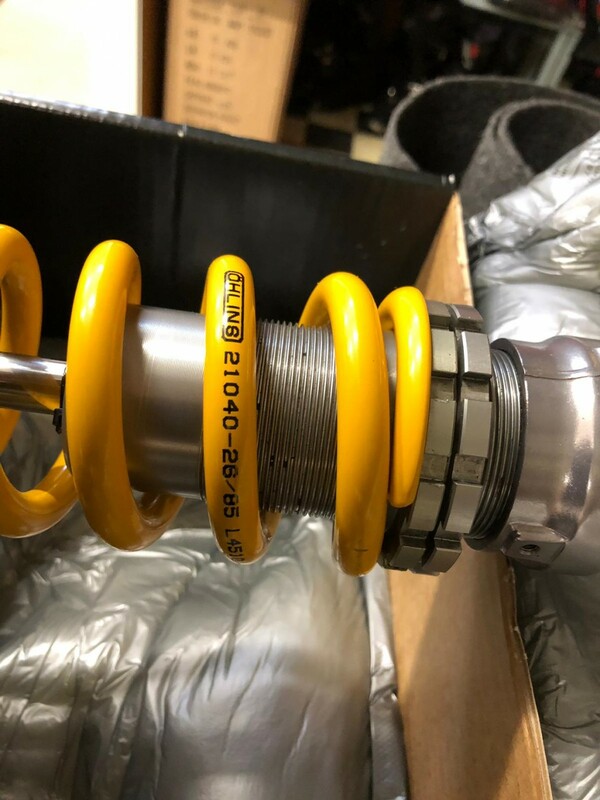 As said, compared to stock OEM TTX shocks you have a modified shock with at least a lighter spring and lengthadjustment added - so you need to find out what else has been done to the shock, including damping changes and shock length. It is TR 9080, will this still fit on my ST08? I have also asked if there is anothing else has been done to the shock. Waiting for reply... But can I go ahead and buy it?